In this blog we’re going to look at why you should begin your preparations for Christmas right now, to ensure a successful production run. By looking through the production process below, you can see why preparation well in advance, especially for Chinese production, is so important. Well in advance of releasing a promotional product, you should ensure you have ample time to brainstorm various ideas and products that will fit into your business model and marketing campaign. Our design team, Mindsparkz, can help to brainstorm both existing products they feel would fit into your business, along with brand new concepts that would have the biggest benefit for your campaign. After your brainstorming session is complete, you will then need plenty of time to focus on design. If using an existing product, then the design features will include the colors, the logo and the logo positioning – this can be done relatively quickly. Although if you’re producing a product off of a new concept, then you need longer to ensure you that your concept can actually be produced / moulded. As with the brainstorming, our in-house design team, Mindsparkz, can also help you to produce and design your products, going from sketches to the finished 3D models. 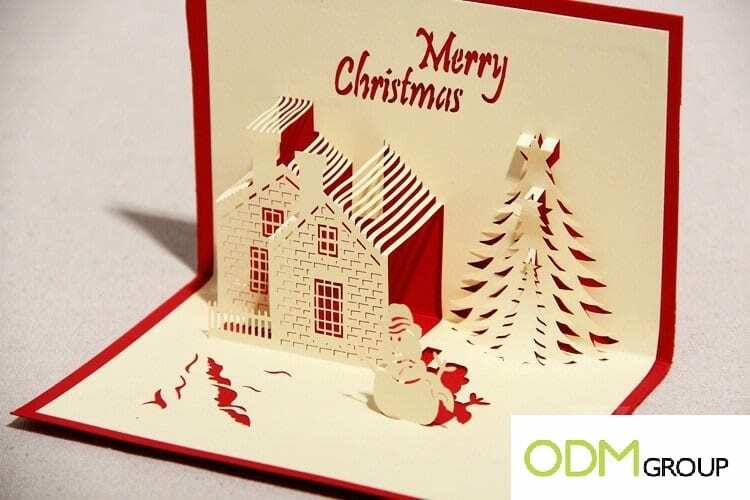 ODM will then need a short period of time to source and send you a competitive quotation for your product, based on your design and specifications. Sampling is key to a successful production run in China, because sampling allows you to see the finished product before committing to mass production. Sampling of brand new concepts is especially important as it gives you the opportunity to ensure the product works and is designed as expected – something you can never be certain of from just a drawing. Sampling also allows you to make small changes that are needed, so that you can confidently move to mass production. After you’ve approved every aspect of the sample, we are then ready to move onto mass production. ODM will run two QC (quality checks), checking your products when 30% of production is completed and then doing a final check when 100% of production is completed. Ample time is needed for this to ensure we have time to fix, replace and solve any potential issues that tend to pop-up so often during Chinese production. After production is finished, and the QC has been passed, we are then ready to send your products to you. The timing this can vary massively, depending on your chosen method. Shipping via sea for example, can take up to 45 days. Whereas shipment via air freight can take a matter of days. 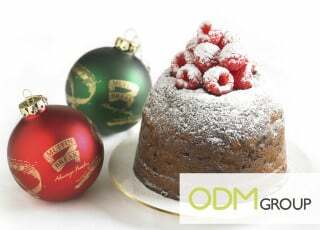 To get some inspiration for the the type of gifts you can offer your customers this Christmas, you can read our various blogs. Below we’ve listed a few products we’re produced in the past to give you some ideas. 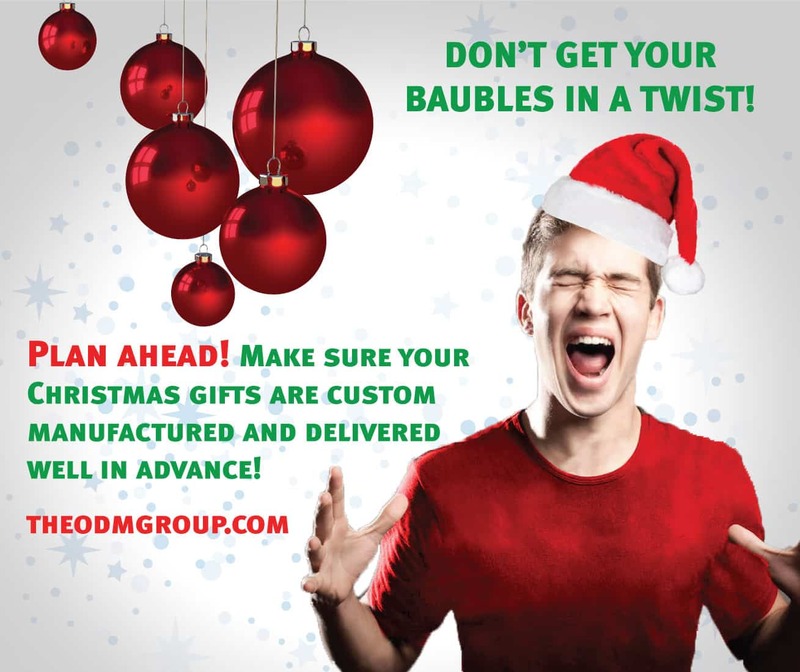 Customized baubles could make a fantastic promotional gift this Christmas, with its high-end look & visible branding, it’s a guaranteed method to ensure customers recall your brand. Read more here. 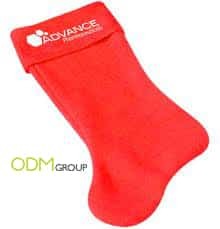 Offering branded Christmas stockings to your customers as a gift can help to drastically improve brand awareness. With the low set up costs and inexpensive production prices, they make the perfect product. You can learn more here. These unique and decorative Christmas bottle jumpers can be used to increase a products perceived value, make it stand out and as a means of advertising. Read more about these Christmas jumpers here. 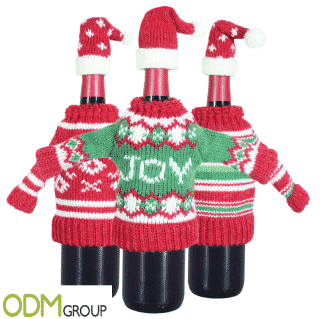 Why not give away one of the most common Christmas products to your customers? Christmas cards feature a fantastic branding area, while also being very inexpensive to produce. Be sure to check out the blog. Christmas crackers are used all over the world, so why not reach this audience by offering them as gifts in your campaign. Fun products, that can be made inexpensively, make great promotional products. 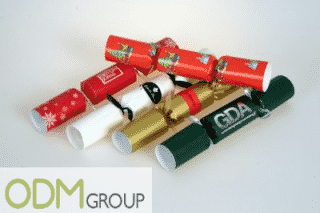 Learn more about how you can use crackers as part of your campaign, here. So as you can preparing your products well in advance is the key to a successful production run in China. Don’t delay, get in contact today!